Woowee! 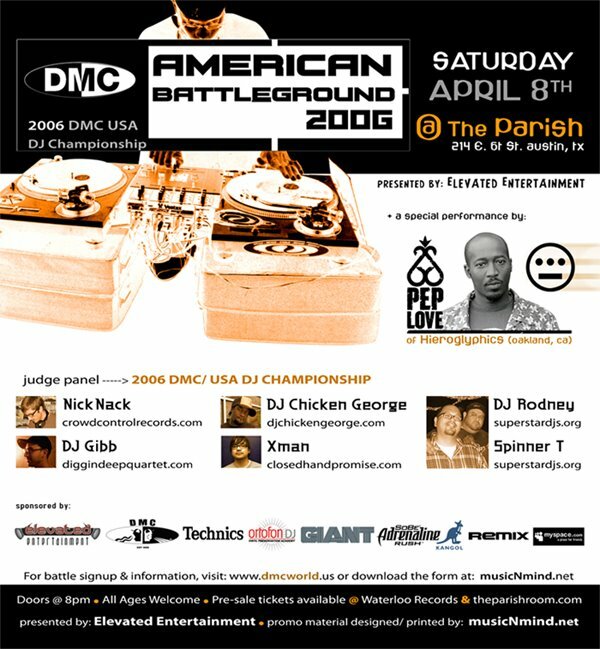 The DMC Regionals are going to be held at The Parish on April 8th! 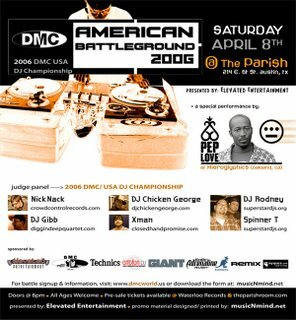 Wanna be part of the event that brought you Jam Master Jay, Grandmaster Flash, DJ Q-bert, and DJ Jazzy Jeff... you know where to be fools! And to top it all off, there will be a special performance by Pep Love of the Hieroglyphics! Definitely can't miss this!